In the top-right corner of the list that shows existing Issues, click . 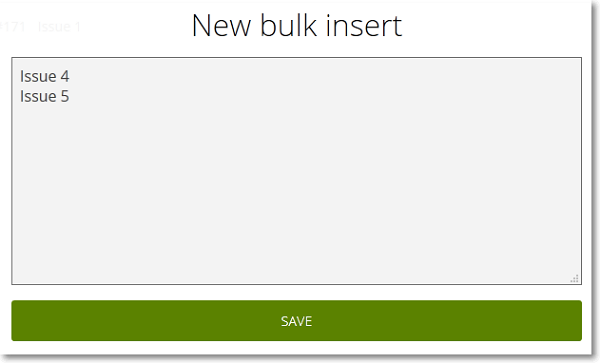 On the New bulk insert form, enter the Subjects of the new Issues, one Subject per line, and then click SAVE. The new Issues are added on the list that shows the current Issues. After you add Issues in bulk, you can manage each new Issue and set it up as needed. For more details about managing an Issue, you can go to How to manage an Issue.